raised || by || cassettes: Music Review // Versal "Versal"
When this starts it's a piano sound with soothing strings in the background. It kicks in a bit of the second song, with this LOTR/neo classical vibe. There is a flute and it just has that feeling like we're going to fight a big battle. It even begins to sing on "Dawn", as if we are in some sort of fantasy movie. Perhaps not quite LOTR, but even something like "Willow" comes to mind and I'm rather excited about that aspect of this music. In ways it also reminds me of something out of "Robin Hood: Prince of Thieves". Though it is not in the delivery but in the tone of the music- the way the songs sing- it can remind me a bit of something out of Willy Wonka, which I think just gives it that magical touch. Trying to imagine something in that fantasy sense which is set in the woods amongst the trees but also carries itself enough creativity of Willy Wonka... I imagine that what we see in Willy Wonka's Chocolate Factory- such as the trees you can eat- would cover an entire country. The strings pluck through on "Carrousel" and it doesn't remind me of the typical musical ride we take on one, but it has this great feeling of soaring through the sky within it and somehow that feels even better. The horns feel like they're slowing things down on the next track and it can feel like it's getting sad, but the strings pick it right back up and I just imagine characters running through the woods without a care, something I could never do for fear of hitting a tree. There are some great synths which come in here along with the strings on the final song and it almost seems to send the entire thing into space. Whenever I listen to music which even remotely reminds me of being classical, as this does, I think to myself as to whether my Dad would like it or not, as he tends to enjoy a lot of classical music. 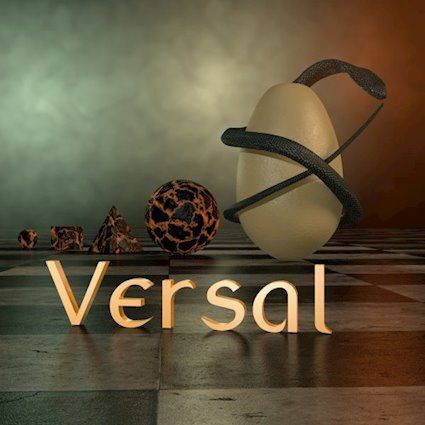 Given that he enjoys the movies I've named in this review, I think he would enjoy this EP by Versal and any music we can bond over is a win in my book.